The Thoroughbred Aftercare Alliance (TAA) received funding from 20 farms in 2015 through stud fees from 119 Thoroughbred stallions. The stallions’ connections pledged to donate 25 percent or more of the advertised stud fee for each horse. The Thoroughbred Aftercare Alliance (TAA) announced today that $2.48 million in grants will be awarded to its 56 accredited aftercare organizations. The financial grants are provided to support the ongoing care of the Thoroughbreds that the organizations work to retire, retrain, and rehome. LEXINGTON, Ky. (Thursday, November 5, 2015) – Tickets for the 45th annual Eclipse Awards, presented by Daily Racing Form, Breeders’ Cup and The Stronach Group, and featuring the announcement of 2015 Horse of the Year, are on sale now. The Eclipse Awards are set for Saturday, January 16, at Gulfstream Park Racing & Casino in Hallandale Beach, Fla. While voting is still to take place, Triple Crown hero and Breeders’ Cup Classic winner American Pharoah is a heavy favorite to earn the evening’s most prestigious honor, Horse of the Year. The Kentucky Derby, Preakness Stakes and Belmont Stakes winner also appears to be a shoo-in for Champion 3-Year-Old Male. Eclipse Awards tickets are available for $400 each or $4,000 for a table of 10. A block of rooms have been reserved at the Westin Diplomat Resort and Spa, located on the ocean and only a short distance from Gulfstream Park. For information on ticket purchases and room reservations, please contact Casey Hamilton at eclipsetickets@ntra.com or call (859) 422-2627. The “black-tie optional” Eclipse Awards highlight a full weekend of events, several of which will be tied to charitable causes. The celebration kicks off Thursday evening, Jan. 14, with a welcome reception for Eclipse Awards attendees at Adena Grill, the upscale, all-natural, “farm-to-fork” restaurant in The Village at Gulfstream Park. A Friday night, Jan. 15, party in the Gulfstream Park walking ring will benefit the Thoroughbred Aftercare Alliance. Saturday, Jan. 16, is Sunshine Millions at Gulfstream with six major stakes races for older horses. Sunday, Jan. 17, features a “First Chance/Last Chance” qualifier for the National Handicapping Championship. Eclipse Awards voting is conducted by the National Turf Writers and Broadcasters (NTWAB), the National Thoroughbred Racing Association (NTRA) and Daily Racing Form. The Eclipse Awards ceremony is produced by the National Thoroughbred Racing Association. The Eclipse Awards are named after the great 18th-century racehorse and foundation sire Eclipse, who began racing at age five and was undefeated in 18 starts, including eight walkovers. Eclipse sired the winners of 344 races, including three Epsom Derbies. The NTRA is a broad-based coalition of more than 100 horse racing interests and thousands of individual stakeholders consisting of horseplayers, racetrack operators, owners, breeders, trainers and affiliated horse racing associations, charged with increasing the popularity, welfare and integrity of Thoroughbred racing through consensus-based leadership, legislative advocacy, safety and integrity initiatives, fan engagement and corporate partner development. The NTRA owns and manages the NTRA Safety and Integrity Alliance; NTRA.com; the NTRA Top Thoroughbred and NTRA Top 3-Year-Old weekly media polls; the Eclipse Awards; the National Handicapping Championship; NTRA Advantage, a corporate partner sales and sponsorship program; and HORSE PAC, a federal political action committee. The NTRA has offices in Lexington, Ky., and New York City. NTRA press releases appear on NTRA.com, Twitter (@ntra) and Facebook (facebook.com/1NTRA). NEW YORK—For the ninth consecutive year, the ASPCA® (The American Society for the Prevention of Cruelty to Animals®) will partner with the Hampton Classic Horse Show to raise awareness of critical animal welfare issues and find loving homes for local shelter animals, including dogs, cats, and horses. The ASPCA will be joined by ASPCA Equine Welfare Ambassadors Jill Rappaport, Georgina Bloomberg, Brianne Goutal, Hayley Barnhill, Jessica Springsteen, Stacia Madden and the newest ambassador, Jennifer Gates. The group will host two events during the week-long horse show, held in Bridgehampton from August 23-30: ASPCA Adoption & Animal Welfare Day on Monday, August 24, and the “Be Their Voice” ASPCA Equine Welfare Town Hall on Wednesday, August 26. Akindale is TCA's Charity of the Month! In 2006, Thoroughbred owner John Hettinger dedicated 1,000 acres of his farm to a permanent haven for retired Thoroughbreds. 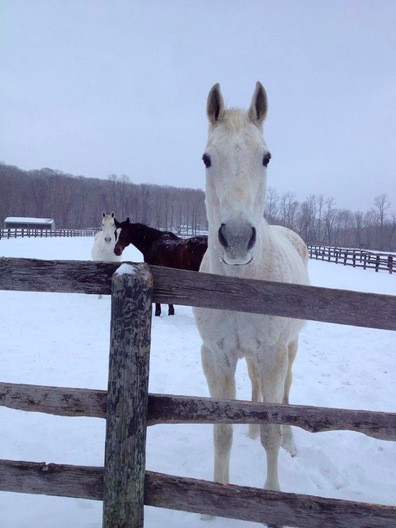 Akindale Thoroughbred Rescue (ATBR) in Pawling, New York, is Hettinger’s living legacy and a paradigm of Thoroughbred aftercare. On any given day, ATBR is home to over 150 horses. Some of these horses are in training for a new career, while others will live out the remainder of their days at Akindale. To combat the rising number of horses in need ATBR is intensifying its search for permanent adopters. Executive director Erin Pfister says adopters must realize that horse adoptions are long-term commitments. Read the rest at their site! Thanks to TCA for all their support--we couldn't do what we do without them. 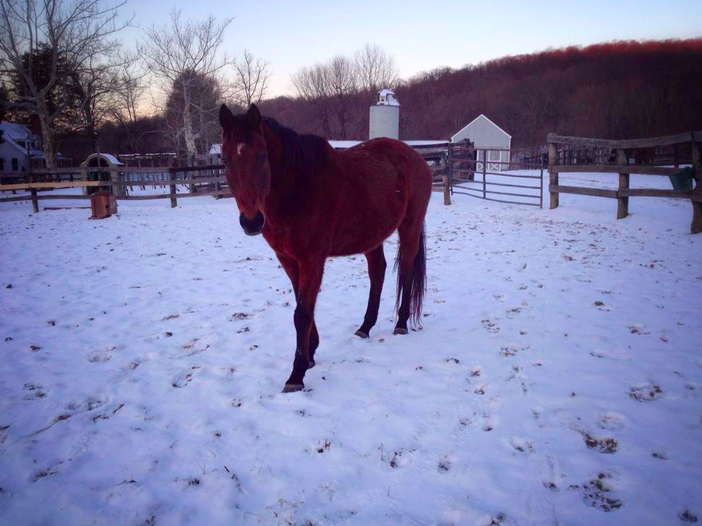 Akindale Thoroughbred Rescue is the proud recipient of an ASPCA Grant in 2015! NEW YORK—The ASPCA® (The American Society for the Prevention of Cruelty to Animals®) today announced that it has granted $200,000 to 26 equine rescue groups across the country in recognition of their efforts to assist retired racehorses. The grants were awarded as part of the ASPCA Rescuing Racers Initiative, a major grants program that aids in the rescue and rehabilitation of retired racehorses to save them from slaughter. Now in its sixth year, the program gives retired racers a new lease on life by preparing them for lives off the track. Two Akindale horses are taking part in the Equine Comeback Challenge, introduced by A Home For Every Horse. 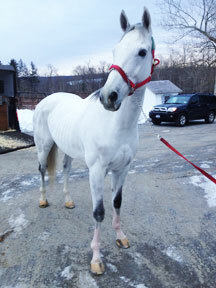 Indian Rain Dance is one of them and his trainer Kelsey Parisi has a blog where you can follow his progress. He was always a favorite of everyone at Akindale, nothing bothered him and always went with the flow. Such a love bug. Now we can all follow his progress. We all love watching them in their second careers. 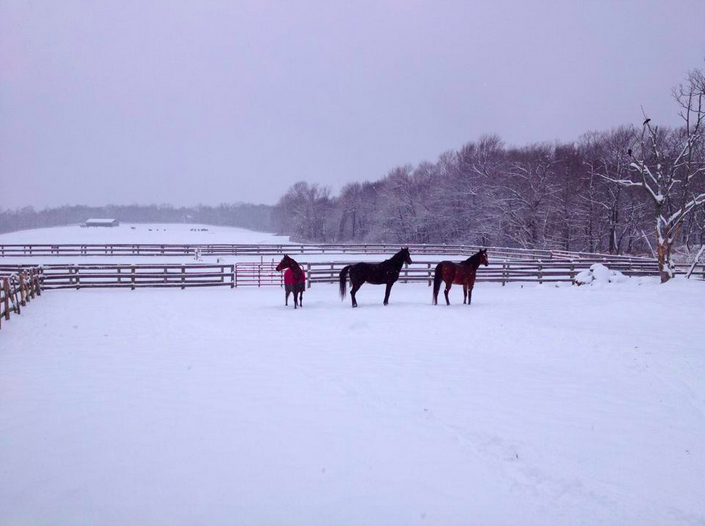 Evening Attire, Hotstuf and their buddies are enjoying the winter weather--we hope you are too! Summer comes to a gentle close and fall begins to roll in, heralding our annual Hettinger Challenge Hunter Pace & Luncheon. Saturday September 20, 2014 ~ Riders out 8 - 12. Please find the application on our website. Ribbons and prizes to be awarded. The luncheon is open to the entire community, please feel free to bring friends and family. RSVP's are appreciated. Magical Salute learned (slowly) to eat carrots. Minis, with Erin for scale. Unbridled Danger wants in on the snacks. Our friends Teresa Genaro and Sarah Jaffe came to visit on Friday and brought treats for the residents. They also took some pictures--here are a few for your enjoyment. Evening Attire turned 16 on February 14 and celebrated his birthday in style with his brother Tacticianor, buddy Remington, and the Akindale crew. His gifts included some special holiday-themed treats and a fancy new halter and lead rope. In his six years on the racetrack, Stud Muffin showed a definite predilection for distance: the bulk of his 14 lifetime victories came at a mile and or more, with the gray guy coming from off the pace, often eking out a win, sometimes winning by a length or so. He seldom won by more than that, doing just as much, it seemed, as he needed to get to the winner’s circle. Pawling, NY - Blue Horse Charities and Thoroughbred Charities of America (TCA) are thoroughbred aftercare funding organizations designed to assist non-profit thoroughbred rescue groups who are working to improve the lives of thoroughbred racehorses. 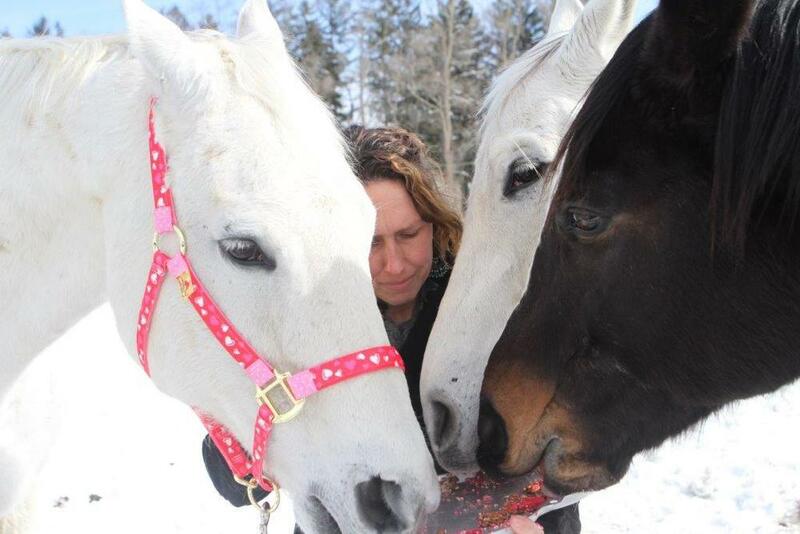 Akindale Thoroughbred Rescue is proud to announce that both groups have awarded grants to ATBR for 2013. These funds will be used to assist in ATBR's efforts to rehabilitate, retrain, and rehome retired thoroughbreds. A year ago this month, multiple stakes winner Stud Muffin was on a farm just outside Saratoga, resting up for a fall racing campaign. Then eight years old, he hadn’t hit the winner’s circle in 2012. He raced twice more last year, non-competitively, and it was clear that his best racing days were behind him. Callmetony, who at 11 years old was the very definition of “hard-knocking gelding,” was also winless in 2012. Unlike Stud Muffin, he’d never won a stakes race, but he did amass over $660,000 in earnings in his career. Stud Muffin earned just a little more, nearly $67,200. Two geldings. Two winners. Two racers whose old bones and muscles were slowing down. Horses based at New York Racing Association tracks who are no longer able to race but could be trained for second careers now have a place to go. The New York Thoroughbred Horsemen’s Association on Friday announced the creation of “Take The Lead,” a retirement program for Thoroughbreds stabled at Aqueduct, Belmont Park, and Saratoga. “If anybody had said to me a year ago that my 10-year-old daughter, who’s 4-foot 10, would be on a Thoroughbred right off the track, and that she’d be training him to jump cross-rails, I wouldn’t have believed them,” O’Brien says in a phone interview with Off Track Thoroughbreds.com. He made his first start at the very end of two-year-old year–December 16, 2006–and it was not what you’d call an auspicious debut. Racing for his breeder, Majesty Stud, Stud Muffin finished seventh by 17 lengths in the 1 1/16 miles race over the inner dirt at Aqueduct.